Housemarque has made quite the name for themselves over the last decade or so by creating some of the best twin stick shooters around. The first game I played by them was Super Stardust HD on the PS3 and ever since then I’ve been hooked on the fantastic arcade gameplay all of their games tend to offer. 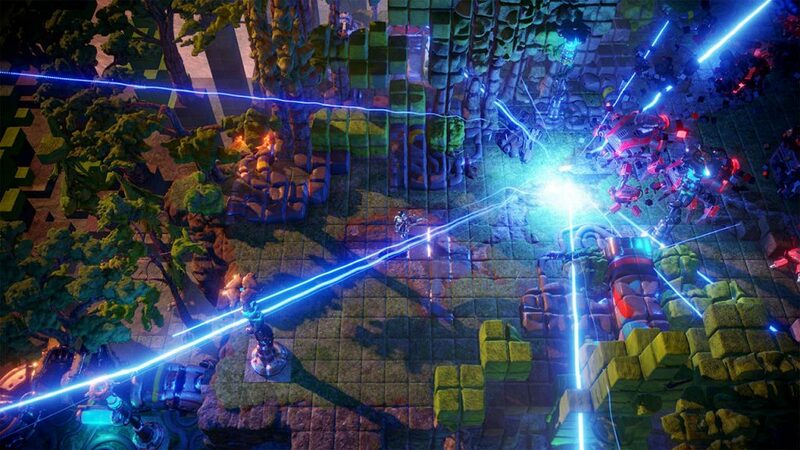 Resogun is still one of my favorite PS4 games to this day and while I enjoyed Alienation last year it was a bit of a departure from what Housemarque usually excels at. 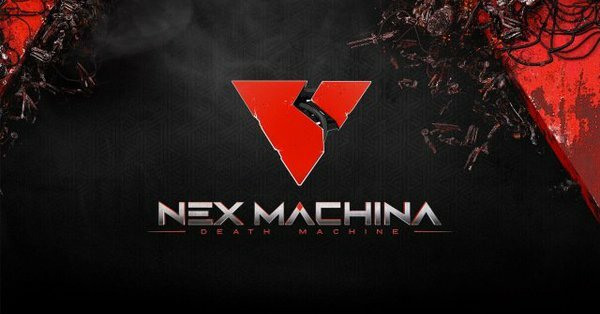 That is why when I saw their latest game, Nex Machina, my excitements levels shot back up again as it looked like it would be a return to the fast paced arcade action I crave out of Housemarque. Suffice to say after spending quite a bit of time with the game I wasn’t disappointed. 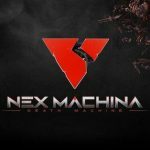 To create Nex Machina Housemarque teamed up with the legendary arcade game creator Eugene Jarvis who is best known for creating Defender and Smash TV back in the day. In this game your objective is to make your way through over 100 levels spread across six worlds while rescuing the last humans and blasting rogue AI robots into their voxel oblivion. When you spawn into each area the main things you’ll be wanting to do is rescue any humans there and kill all of the enemies which will then blast you off to the next area. I really liked this as it made it feel like you are actually traveling through these different worlds. Controls are simple and intuitive with one stick used to move, one used to shoot and two additional buttons used to dash and fire your special weapon when picked up. Learning to use the dash is critical to not dying in certain situations while special weapons such as the Laser or Rocket Launcher can be life savers as well. You can also pick up other upgrades along the way that will increase your weapon spread or the number of dashes you can do. However if you die you start losing everything you picked up and if you run out of lives you can continue from where you are but your character will start fresh without any upgrades which can make the game harder than it should be. I found that sometimes it was better to just go and start the world over as it can be a struggle to continue fresh from certain spots. At the end of each world there is a challenging boss for you to beat. You’ll have to figure out their patterns in order to survive whether it’s dodging a beam or neon shurikens. That’s pretty much Arcade mode for you and a normal playthrough will only take maybe an hour but that depends on the difficulty you play on. You see this game really handles the different difficulties so well. You can play on Rookie to get the swing of things or if you aren’t great at twin stick shooters. However when I moved on to Experienced or Veteran difficulty it was like playing a different game. More enemies spawn and they move faster forcing you to adapt your playstyle and stay on your toes more. You also are given less continues as you move up the difficulties of which there are five in total. But this isn’t the only reason to keep replaying Arcade mode as each level also has tons of hidden stuff to find such as secret humans, secret exits that take you to bonus levels, hidden beacons and if you dash at just the right moment at the end of a level you get bonus points. Of course building up your multiplier to get better scores to get a higher place on the leaderboards is one of the main points of a game like this. Leaderboards are also cross platform which is awesome and you can tell by an icon whether a player was playing on PC or PS4. You can also click on anyone and watch a replay of their run which provides tons of insight from right in the game giving you really no reason to go anywhere else to learn strategies. Outside of Arcade mode there is an Arena which puts you in certain levels with different scenarios. Some of these will be beat this level in a certain amount of time, reach a certain score, or deal with faster enemies to name a few. Fulfilling these objectives will reward you with Bronze, Silver, and Gold Medals which then can be used to unlock more arenas. They also can be used to customize your character which doesn’t do a lot but it helps your character stand out and something you don’t typically see in these kind of games. You can change your suit, your bullet color and your profile picture. Going back to the modes you can also choose to just play a single world if you want. Finally the game offers local co-op for you and another player to team up on the couch and play. This is a welcome addition but I only had one problem with it and that is that the second player can find themselves struggling to keep an eye on their character. 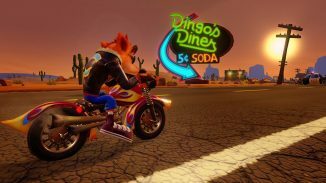 If you were hoping for Online co-op however there is none here. 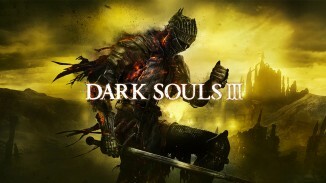 I find that understandable given how lag could really hurt the experience in this game but hopefully maybe it will be added in the future. Feats is another feature in the game that are basically in game achievements that reward you for killing so many enemies, saving so many humans and many more. There are 200+ of them so you’ll spend a lot of time if you try to earn them all. 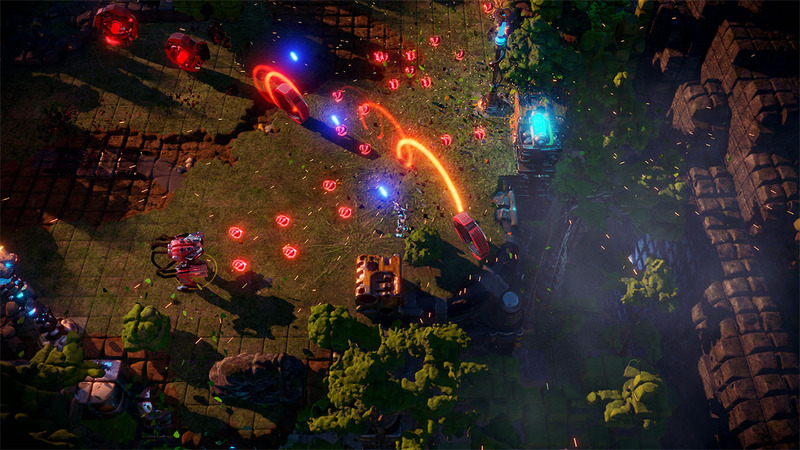 When it comes to presentation Nex Machina excels here as well. The game runs at a smooth 60 frames per second on PS4 and PS4 Pro which for a game like this is very important. If you play on a regular PS4 the game has a 900p resolution where the PS4 Pro has a 1890p resolution when played on a 4K TV which is a huge boost. If you have a 1080p TV it runs at 1080P on the Pro. Everything just looks really pretty and the explosions of voxels is just as good here as it was in Resogun and if you have a TV with HDR it all looks even better. The soundtrack is yet another winner here and it’s something that Housemarque also seems to always nail. Ari Pulkkinen handled it and the fast, electronic beats match the on screen action perfectly. 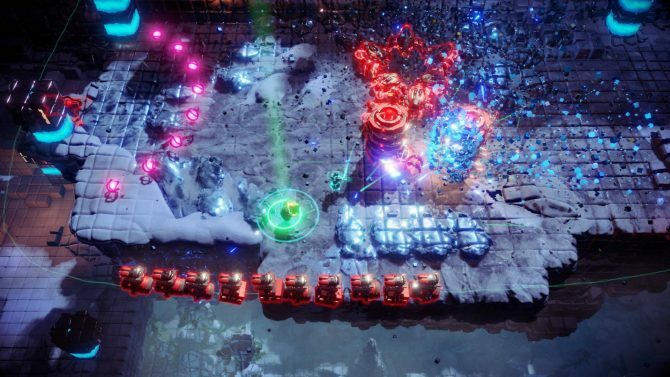 Nex Machina is yet another classic game from Housemarque and I feel it is the pinnacle of the twin stick shooter that every game that follows it needs to strive to match. The gameplay and level design here is so smooth and feels just right while the visuals and soundtrack are fantastic as well. The game keeps reeling me in for session after session to improve my skills and score and I think it will do that for you too if you give it a chance. It’s one of my favorite games of 2017 so far. *Review code provided by the publisher. Reviewed on a PS4 Pro.